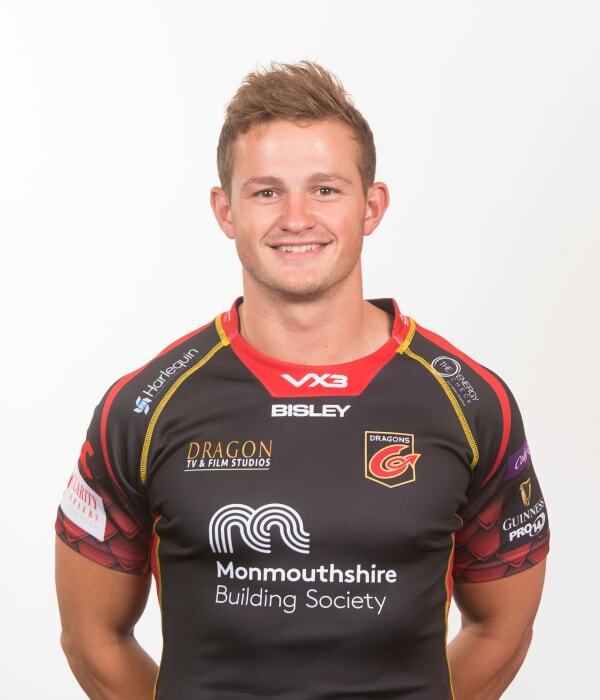 Wales international Hallam Amos burst into the Dragons senior squad in 2011, having progressed through the Dragons Academy and age grade sides. Amos, who can play across the back line, made his debut for the Dragons in the LV= Cup victory away at London Wasps in 2011. He scored a first half try in the game, becoming the youngest ever regional player at the time aged 17 years and 28 days. The versatile back also broke the record for the youngest ever starting player in the PRO14 when he started against the Ospreys at the Liberty Stadium in April 2012. The Stockport-born ace broke the then record held by Kristian Phillips who was 17 years 250 days when he started against Connacht in May 2008 - Hallam was 17 years 208 days. Amos was first selected in the Wales under 20s squad in the Six Nations Championship of 2013 and later that year made the step up to the senior set-up. He made his international debut on the wing against Tonga in 2013 and featured in the 2015 Rugby World Cup.